Mr. Shen is a former judge with the People's Court of the People's Republic of China, having served on cases involving foreign direct investment and international trade from 2001 to 2005. 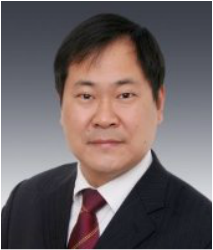 Mr. Shen's practice focuses on assisting U.S., European and Middle-East based companies in connection with their investments in China, as well as assisting Chinese based companies investing abroad. His practice includes representing clients with regard to entity formation, mergers and acquisitions, "on the ground" due diligence investigations regarding target companies and investing environments, conducting feasibility analysis of investments and providing ongoing consultations subsequent to the completion of such transactions. In 2005, Mr. Shen was awarded a scholarship by the Lord Chancellor of the British Government to join the Sino-British Judiciary Exchange Programme. From August 2005 to August 2006, Linchang pursued a master degree in SOAS from London University on a stipend from the British Government. Linchang is fluent in Mandarin and English.